Clogged drains are an issue that many property owners believe that they can fix themselves. It can be as simple as pouring some of store bought liquid down the drain, waiting fifteen minutes, and then celebrating as the clog magically disappears right? Wrong. The store bough liquid drain cleaner does not effectively remove the clog. It merely reduces it to the point that water can pass through the drainpipes allowing blockages quickly grow back to the point where they clog the drain again. You may end up repeating the process every few weeks in the hopes that one of these times it will remove the clog once and for all. Although the store bought liquid drain cleaner will never actually fix the problem it can be very effective at corroding your pipes. Eventually, this can lead to a major repair, which can cost thousands of dollars, or even a complete replacement that costs even more money. We know what you may be thinking at this point. Instead of using the store bough drain cleaner why not run down to the local hardware store and purchase a plumbing snake and some other tools that you can use to de-clog the drain yourself. Many people attempt this; however if you are not properly trained on exactly how to use the tools than you can end up damaging both the drainpipes and the plumbing fixtures. Think of it like this. You may be able to purchase a scalpel, but that certainly does not mean that you would perform surgery on yourself. Although many property owners are tempted to clean the drains themselves, especially when they are clogged, it is highly recommended that you leave it up to a professional plumbing contractor like Nu Flow Technologies instead. Our plumbing technicians are experienced and have been trained in the proper use of both tools and technology in order to effectively remove clogs without causing any damage to the drainpipes. The next time that you are experiencing a clogged drain at your home, place of business, or investment property avoid the temptation to resolve the problem yourself. A yearly professional drain cleaning in Oklahoma City, OK is also highly recommended even if you are not currently experiencing clogged drains. The process effectively removes water deposits, and other debris that build up over time in the drainpipes. Keeping the drainpipes clean and healthy helps to avoid plumbing problems from striking in the future. Imagine what would happen if the kitchen sink failed to drain while you are hosting a holiday or other important event. It is a nightmare that can be certainly be avoided with a little bit of preventative maintenance. 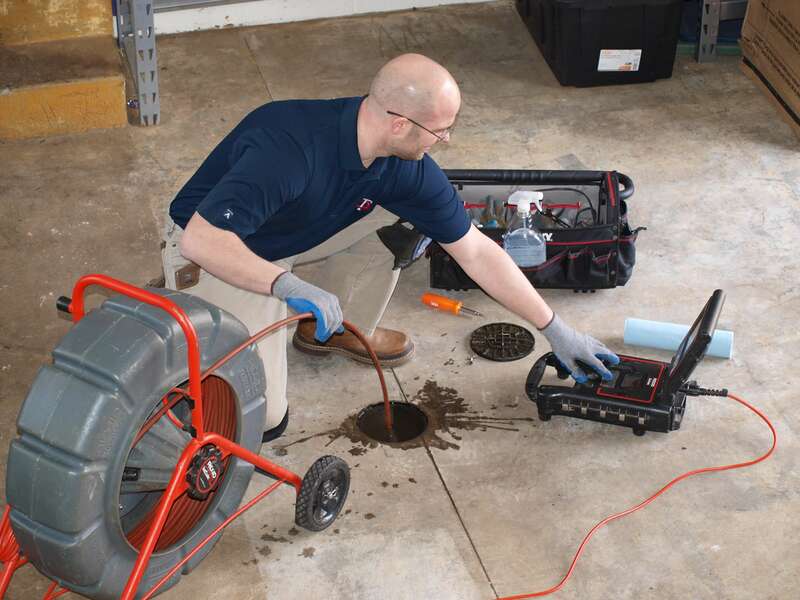 You can trust in NU Flow Technologies to provide you with expert drain cleaning service that is second to none. Our company has been in business since 1998, and since that time we have helped thousands of property owners. We look forward to helping you.